Make business flow smart with smart contracts! Providing you with a secure digital contract following all the blockchain conditions. Smart contracts are the future of online agreement-based system currently running on the nodes of blockchain technology with a vast hope and future. 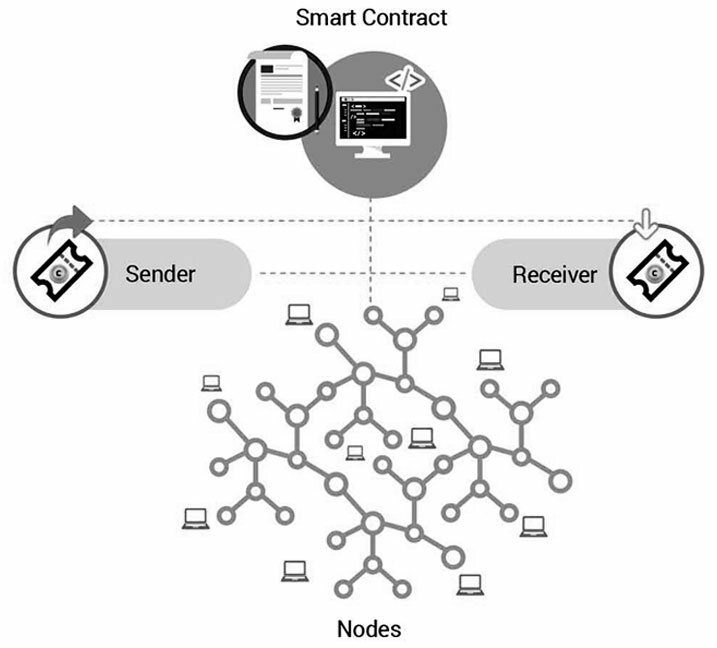 With the advancement of such node-based technology, smart contract development has become one of the best services offered to exist a real-virtual connection. Smart contracts, one of the best virtual services available in blockchain technology that focuses to entitle with a coded agreement between two parties triggered through a series of events with high-security offerings. Being one of the best smart contract development company, Epixel Solutions has been developing such futuristic integration for best user experience as well as to keep your business move forward with current technologies. And we use Ethereum platform to develop such highly-secured and distinctive smart contract. Smart contract as we mentioned earlier, a virtual agreement or rather say it as a computer protocol where there is no involvement of third parties and therefore no extra charges imposed on the parties contract is made using codes with a trigger point at which the contract begins to act and also comes with an expiration slot. Epixel smart contract development company offers such services with a motto of keeping the online deals within the core of its own i.e. leaping forward for a virtual world! How smart contract platform works? How to create a contract? A user (here we call them as "sender") is the one who kick-starts this procedure, we shall have this explanation in the project terms - "Token passing". The process is very much secure using the above process. Here the sender does have a wallet address that holds the cryptocurrency from which the sender is trying to pass these tokens. The tokens are stored in the digital wallet in the form of concerned cryptocurrency. So, with the help of solidity language sender deploys the code and thereby established the sender part. The token available in the digital wallet is thus transferred to the system of nodes/blocks. A certain deploy amount is used for this purpose (usually this amount is too low and called by various names like gas value etc.) and that's how you build a smart contract. Now, if the premises set by the sender are cleared by the nodes around the network i.e. if the conditions are met as per the requirement then, the receiver's digital wallet will receive the token sent from the sender end. These nodes have to validate this contract and the triggered event will be completed only if this process is carried out. These all process are public in nature. There are a certain set of codes to execute during this process and the smart contract is well entitled with an expiration code in case the receiver doesn't get the token passed from the sender end, automatically the contract expires and the sender gets back the tokens. These nodes are the key part of more than 50% of them has to approve this contract and to make every transaction or token passing to take place. Basically, smart contracts have many benefits in the ledger world that gains high prominence and adaptability. Where are smart contracts used? And according to the demand for the technology, the applications or the user will improve in future and it's the smart way of dealing things between parties! Well, offer smart contract audit services to make sure everything secured and safe to proceed without any hacking-sort of things. A non-crackable and well secured complete smart contract system is what has developed for you. Ethereum, an open source platform which is developed using custom-build blockchain technology, the smart contracts are usually developed using this Ethereum platform. Smart contracts, as we discussed earlier is a perfect outlay where no third-parties are involved. Ethereum smart contracts are the builder-base of most of the Smart contract development companies and token passing can be easily carried out in this platform with a set of codes. And mostly, there are ERC20 tokens that act as the currency, create using the Decentralized Applications (DApps). These are created with the help of smart contracts, ERC20 is like the oxygen or the ore with which all Ethereum network tokens are created. Exchanges and another sort of services can also be done with ERC20 tokens. The services range from transfer to exchange and anything can be carried within the smart contract platform developed from Ethereum platform. We do also support smart development languages other than Solidity like Serpent, chain etc. and also supports smart contract development in other platforms. Contact us for the best experience and proper consulting/guidance in smart contract platform.